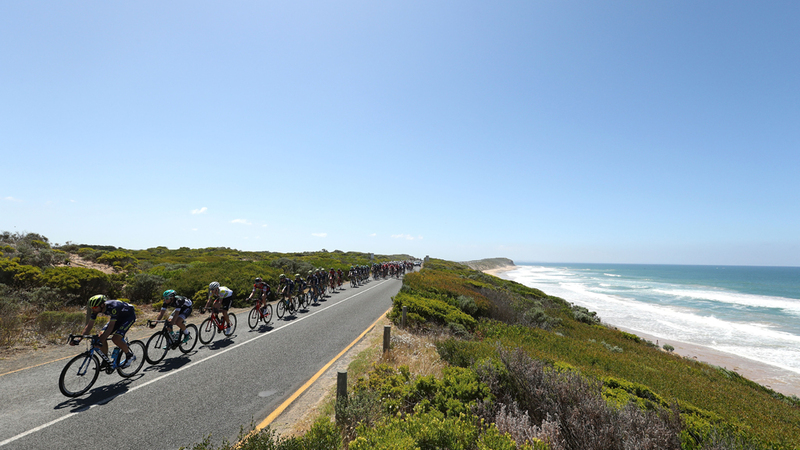 With Geelong and the Surf Coast as it’s backdrop, this UCI WorldTour Elite Men’s Road Race is exhilarating for riders and fans alike. Sprinters, rouleurs and climbers all fancy themselves as they set out for early season success. Race director Scott Sunderland designed the course in consultation with Cadel Evans keeping the early season timing in mind. There can be a fast and sometimes windy start to the race along the exposed roadways before technical sections including city circuits, four times over the Challambra Climb and an electric sprint finish. Geelong signals an arrival onto the finishing circuits, but with a gruelling 55km still to travel. 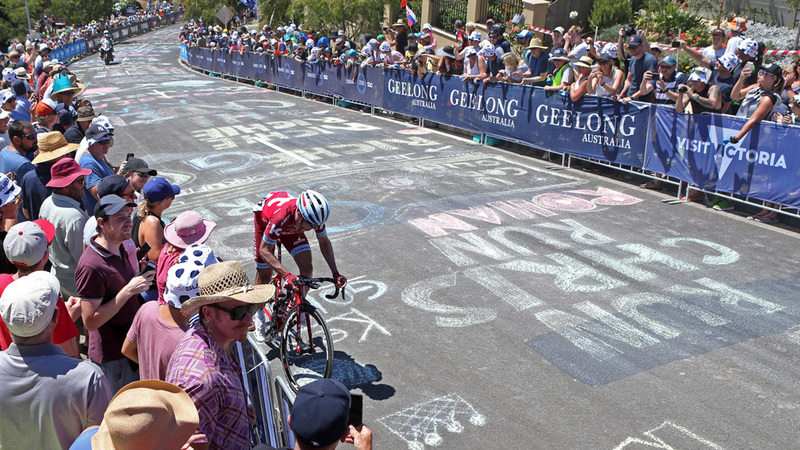 The Elite Men’s course takes on a climb of Challambra Crescent upon entry into Geelong. 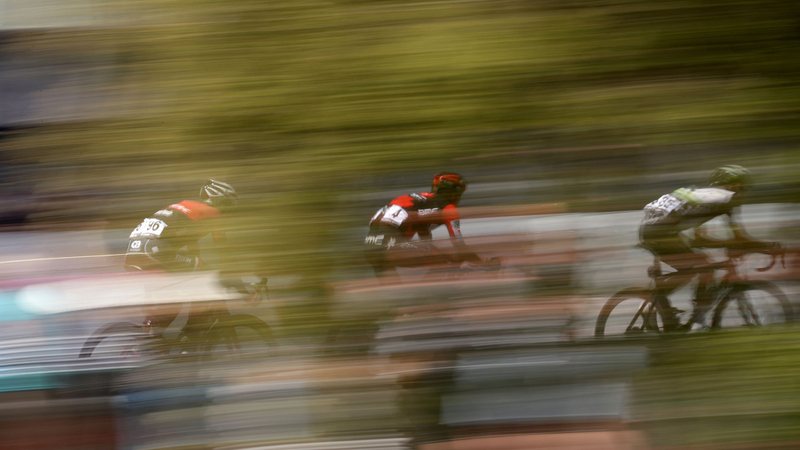 Descending down Scenic Road, the peloton will touch speeds of almost 85km/h into Queens Park. A left turn and a further pinch up Melville Avenue, the race then continues up Minerva Road, connecting through to Church Street. 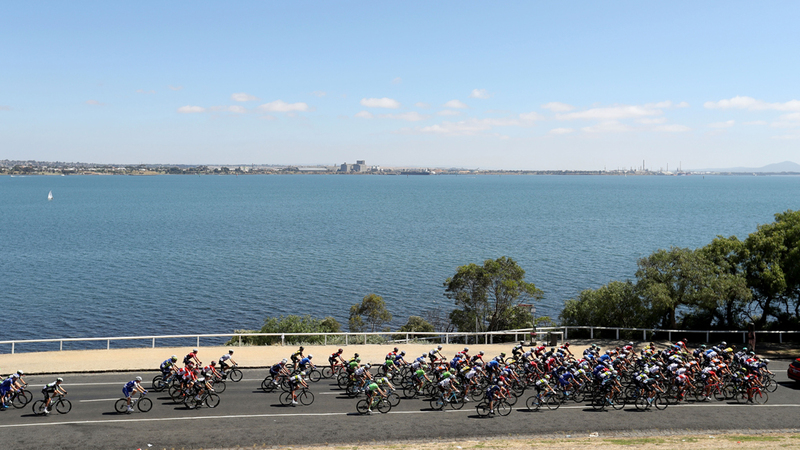 The race travels through residential Geelong, past the Victorian houses along Church Street, over the Highway and onto the Geelong waterfront. It’s here that the riders get their first look at what the finale will be like in three laps time. Back to where it all began, the finish – adjacent to Steampacket Gardens on Geelong’s Waterfront – is a fast one. But first, it will signal three laps to go. Climbing up Yarra Street away from the waterfront they continue. 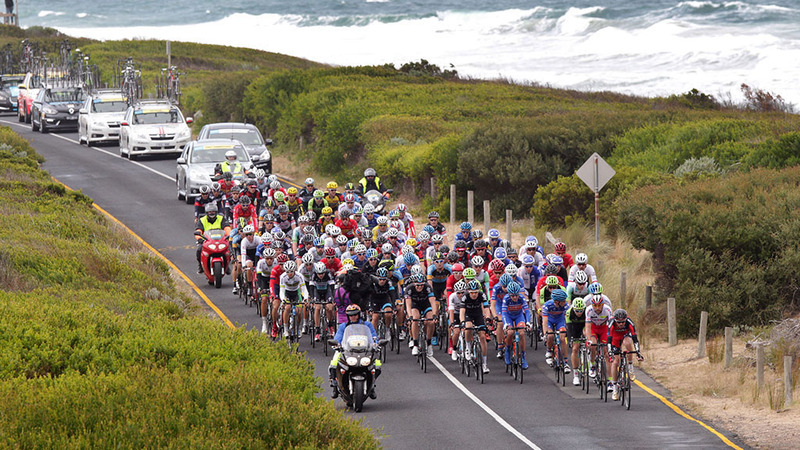 When they reach GMHBA Stadium, the course resembles that of the 2010 UCI Road World Championships, with a descent down Moorabool Street and across the river, then a right turn and a cruise along Barrabool Road past the reserve. The climb up to Highton via Barwon Boulevard and Challambra Crescent is a crowd favourite, and also evokes memories of thousands lining the course during the 2010 Road Worlds. The circuits then continue as they re-join the descent down Scenic Road. The race will get faster and faster, with the average speed for lap one expected at around 42km/h and by the last, almost touching 50km/h.